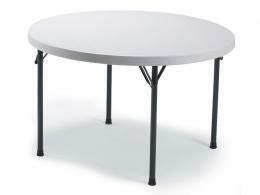 What is the purpose of the Polyfold Lightweight Circular Table? The Polyfold Lightweight Circular Table can do a lot of things. Whether you need it when hosting an event or you plan on seating some people you know for dinner, this can be the perfect product for all of your needs. 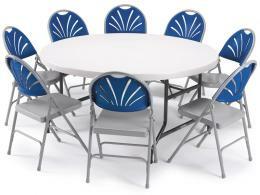 Finding the right table for your needs is easy when you choose to purchase the Polyfold Lightweight Circular Table. Fortunately, this product can be used practically anywhere. As long as you have the space (and you might want to check that in advance), this table can serve plenty of purposes in whatever location that you need it in. Whether you need at your business or in your home, it is easily transportable and it doesn't take a lot to be able to move it anywhere that you need it. The great thing about this product is that anyone can use it! Because it is easy to take with you almost anywhere, you shouldn't have a problem hauling it around and taking it to whatever location that you need it. Because you can use it for several different reasons, it's likely that you will end up using a Polyfold Lightweight Circular Table in the future if you haven't already. 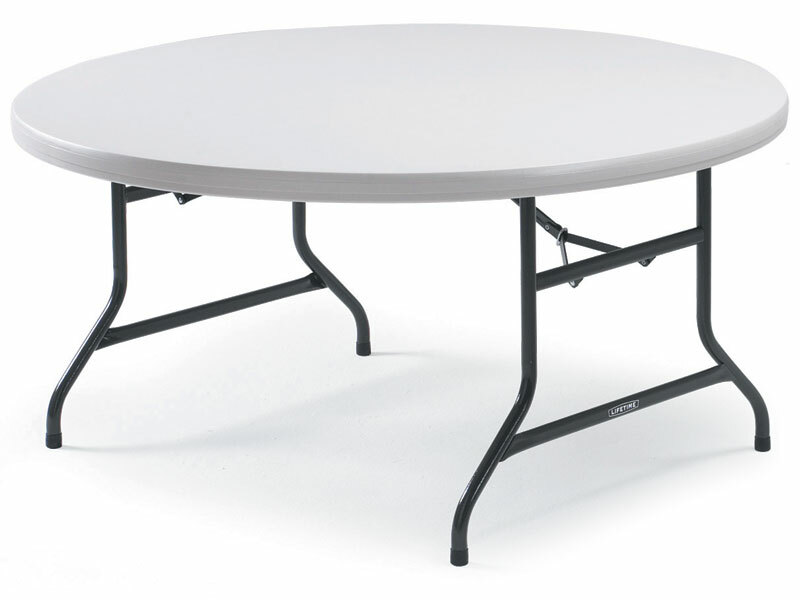 The Polyfold Lightweight Circular Table features a lightweight folding table leg and hygienic wipe clean one piece, all weather polypropylene top that you can use indoors and outdoors. It also fold flat for storage if you need to put it away. It's perfect for offices, industry, or canteen use and comes with a beige top. It also includes a dark bronze frame and comes in several dimensions including 740(H) x Diameter 1220(W) or 740(H) x Diameter 1530(W). It also comes with a 2-year warranty.